Meditation guided DVD’s are a great way for you to take up your meditation routine on your own time and in your own home. Choosing the best DVD to watch can be a tricky task, as there are many to choose from, each one having its own pros and cons. 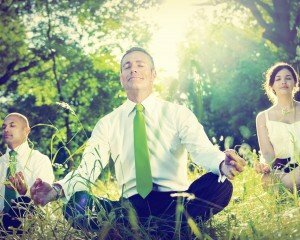 While employees at a store that sells guided meditation might be able to help you with a recommendation, it is best to go in knowing some of the things you are looking for not just from your DVD, but also from your meditation experience. Many guided meditation DVD’s help you master the art of meditating through a sequence of music, guided imagery and spoken word. The music is often tailor-made specifically for what the meditation guide wants to achieve. Many of these DVD’s facilitate the use of calm or New Age music, but there are other options available, though these might be harder to locate. If you have the opportunity, you should try renting or previewing the DVD before committing to buying it, so that you know if the music will sooth you and that the guide’s meditation methods are equally helpful. The visuals of the DVD itself are also something you should consider. You will want to choose a guided meditation DVD that provides visual instruction while at the same time remaining in the background of your routine. In other words, the actual visuals of the DVD, what you see on your TV screen, should be able to hold your attention without requiring that you focus on it, as this can remove you from your meditative trance. Browsing through a selection of DVD’s in a store or on the internet can give you some idea of what type of aesthetics are provided on each DVD, but again, if you are able to rent or preview the DVD before purchasing it, you may want to consider doing that. The length of the DVD’s yet another point to consider. As meditation sessions are recommended to run at least twenty minutes, you probably will not want a DVD with a run time shorter than that. As a counterpoint, you may also want to think about purchasing a DVD that features a longer running time. When you become stronger in your meditation practice, you may want to stay in your meditative trance for longer periods of time. If necessary, you may want to purchase more DVD’s as your skill set increases, as you will not want to grow tired of your practice of meditation guided.